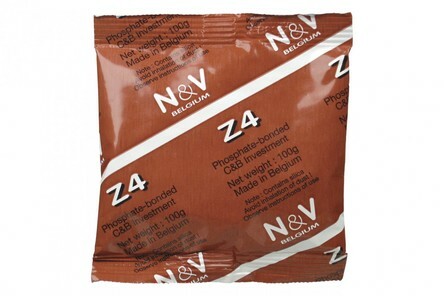 N&V Z4 Universal Investment is a fine grained, phosphate bonded dental investment for use with all dental alloys and pressable ceramic systems, and both the high speed or overnight technique. N&V is a precision investment, engineered to deliver unequaled results, with the accuracy and consistency demanded by today’s modern dental laboratories. N&V gives dental technicians a wide range of benefits, including a smooth, creamy mixture with ample working time for multiple bubble free rings to be poured at one time. 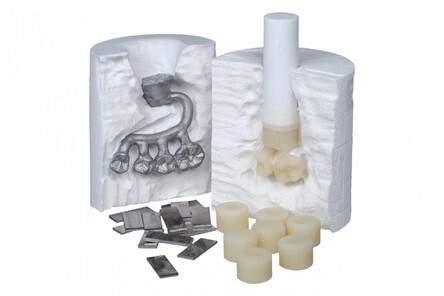 Plus, whether using a high speed or traditional burnout N&V Investment removes all time constraints by allowing rings to be placed into a preheated oven anytime after the benchset from hours, days or even weeks without worrying about rewetting the ring or fear of the ring cracking. These flexible procedures allow dental laboratories to take complete control of their casting schedule and to increase productivity. Note: N&V Expansion Liquid is sold separately and is not freeze stable. Boxes of 60 gram and 100 gram envelopes normally require two liters of liquid per box, while boxes of 500 gram envelopes usually require 3 liters of liquid per box.